Once again, I would like to invite you to share a special gift, your blood. Many of you may have received a request from Bloodworks Northwest to donate blood after the tragic Amtrak train derailment on December 19. Bloodworks Northwest delivered blood to all of the hospitals that received the many seriously injured patients, as well as kept up with our local area hospital needs. If you donated during that special time, a big “Thank You”! For those of you who were unable to donate at that time, here is your opportunity! 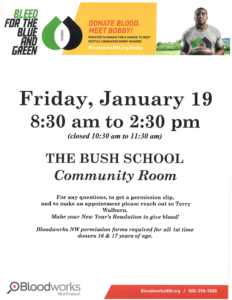 This is a perfect time for those who are able to donate, to stop by the Bush School Community Room on Friday, January 19th from 8:30 AM – 2:15 PM. Please call or email Terry Walburn to arrange a convenient time for you to donate, to check on your eligibility, or if you have any questions about the blood drive. Walk-ins are welcome. 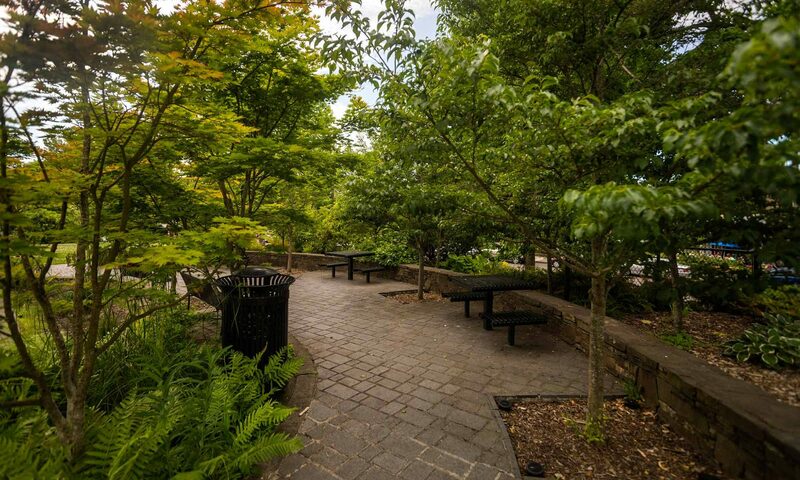 You can reach Terry at (206) 322-7978 or by email at terry.walburn@bush.edu. Thank you for considering this life-giving gift. For over 70 years Bloodworks NW (formerly Puget Sound Blood Center) been serving our community and supplied the blood used in the 70+ regional hospitals we serve. BWNW is a non-profit, independent, volunteer-supported and community-based blood center, providing services throughout western Washington.